First off, get loads of streams, royalties and new followers on Spotify. 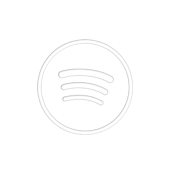 We'll add your song to one of our premium Hip Hop Spotify playlist with 65k+ followers. There, it'll be streamed 24/7 for 1 month, getting about 20 to 50 streams a day. Then, get social and get noticed! We'll promote your playlist on Facebook, the Spotify and streaming discovery and playlist promotion service. Reach 70k and more followers on social media and get your song recognized worldwide. This service is designed specifically for Hip Hop/Rap songs, but us being us – one of the leading electronic music promotion services out there – we can handle other genres as well. If you want to order placement for two songs or for 2 months, please add this package twice to your cart.